Spring has well and truly sprung here at Style, and our new season stock is descending rapidly. Keep your eyes peeled for bright graphic accessories, fresh-smelling candles and sachets, and stylish throws from Shruti, not to mention some great new ranges from Gisela Graham. Oh, we do spoil you! 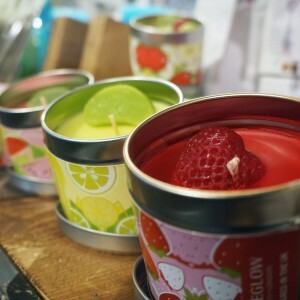 These little tinned candles pack some serious punch when it comes to scent – and they’re made in Britain too!